Cysts are sack like structures containing gas, fluid or semisolid material. It is an abnormal growth and can be easily differentiated from the surrounding normal tissues. Occurrence of cysts is very common in people of all ages. It can occur in any part of the body. Cysts can be of different sizes, varying from very small that are visible only when inspected under microscope, to as large as able to displace normal tissues and organs. The cysts are closed structures and are covered by an outer wall, called capsule. Cysts can occur as a result of different body processes like obstruction to flow of any fluid or simple wear and tear. It can also occur due to infections, tumors or chronic inflammatory conditions. Some cysts are genetically linked or are caused by defects in congenital development. The cysts can be prevented if the above mentioned underlying causative factors are avoided. Sometimes the cysts are easily noticeable by patients and feel like abnormal lumps. Cysts in breasts or mammary glands can be felt during routine examination of breasts. However, cysts in internal organs like those in liver or kidneys are not easily palpable and are not noticed by the patients themselves. They may not even produce any symptoms in the initial period. These cysts are usually detected in routine imaging tests like ultrasound, X-ray or MRI. The symptoms of the cysts depend upon their location and size. Cysts formed in breast can be a part of benign proliferative or fibrocystic disease of breasts. Ovarian cysts occur in some specific types of ovarian tumors. In these conditions, the ovarian tumors contain cysts and other abnormal tissues. Dermoid cysts can also occur in ovaries. Cysts in thyroid glands are as common as baker cysts occurring behind the knees. Baker cysts occur in popliteal fossa behind the knees. Ganglion cysts are common in tendons and joints. Chalazions are cysts occurring in the glands of eyelids. Cysts occurring just below skin surface are called sebaceous cysts. Some other cysts occurring on skin are epidermal cysts also called epidermal inclusion cysts. These are commonly found on scalp, trunk, neck and face. Patients may also suffer from cysts over skin and these are caused by abscesses or boils over skin. Infection and inflammation of skin can lead to cysts on skin. Enlargement of tiny glands near vaginal opening are called Bartholin cysts. Cysts occurring in pineal glands in brain are called pineal cysts. Polycystic kidney disorder is a common kidney conditions that is hereditarily transmitted. The kidneys in this condition contain multiple cysts. Pancreatic cysts are formed due to abnormal collection of fluid within the pancreatic tissue. Few pancreatic cysts are true cysts and are lined by cells secreting fluid. Some pancreatic cysts are false cysts or pseudocysts that do not have a lining of cells secreting fluid. Cysts in meningeal tissue, also called Tarlov cysts are very rare. There can also be occurrence of cysts in perineural space in sacrum. Arachnoid cysts are cysts situated between the spinal cord or brain and the arachnoid matter. Arachnoid matter is a membrane covering the spinal cord and brain. It is important to note that most of the above mentioned cysts are harmless. However, some cysts may cause discomfort, pain and pressure symptoms due to their location and size. Some cysts are associated with infections and malignancy. Patients suffering from cysts in any part of the body should consult a physician to rule out these possibilities. Appropriate diagnostic tests can be preformed for detection of the causes of cysts. An effective treatment of cysts depends upon their location and cause. Cysts, which are very large in size and causing pressure symptoms or pain, need to be removed surgically. In some cases, removal of fluid in cysts can also be performed. This can be done by draining or aspirating the fluid matter by insertion of a catheter or needle in the cysts. This causes collapse of cysts. Radio-imaging techniques can be used for guidance of the instrument through the part for accurate drainage of fluid. This can be useful especially in cysts that are not easily accessible. Patients should avoid performing drainage of cysts at home. Few patients need surgical removal of cysts along with their walls. Cysts that may be cancerous need to be removed surgically. Biopsy of the tissue is taken and tested to rule out malignancy in these cases. 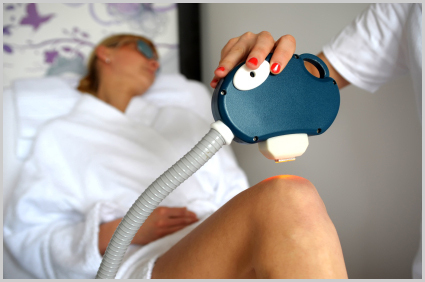 Cysts can also be marsupilized by using scanning Carbon Dioxide lasers. This should be done under local anesthesia. 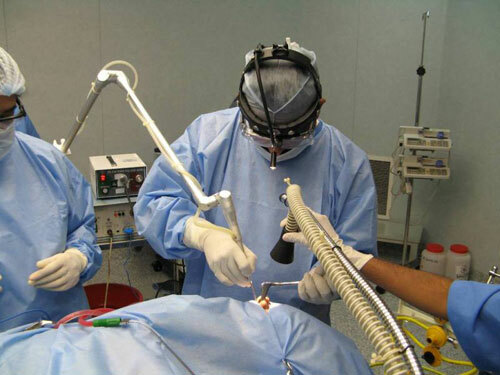 This procedure helps in avoiding post-operative complications like the formation of lineal scar. If the cysts are formed due to chronic medical disorders like fibrocystic breast disease or polycystic ovarian syndrome, the treatment should be aimed at removing the underlying cause.